HandsetExpert helps you find the very best deals on mobile phones and tariffs. Every day, we gather and input around 1.5-2 million deals to the site from a multitude of different mobile phone retailers. But with so many different retailers to choose from, it can be hard to know which is the best option. Buying a mobile phone or committing to a contract is often a major purchase, so naturally you want to know you can trust the retailer in question. However, finding out whether they're trustworthy can involve a lot of research - especially if it's a less well-known retailer. 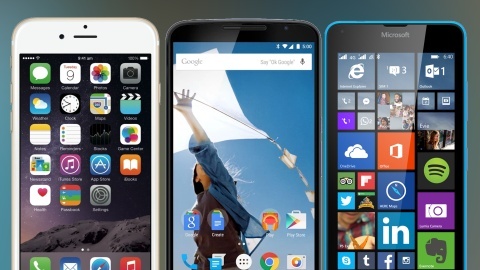 At HandsetExpert we want to make finding the right mobile phone as easy as possible. That's why we've done the research for you and come up with this handy guide to mobile phone retailers. For each of the retailers listed, we've gathered a selection of useful facts and figures to help you make an informed decision. Affordable Mobiles is an online retailer operated by A1 Comms Ltd, which also operates Phones.co.uk, Buymobiles.net and a range of other communications brands. Affordable Mobiles offers a wide range of handsets and tariffs, as well as SIM Only deals, SIM Free handsets and cashback offers. It claims to be the largest independently-owned mobile phone retailer. A1 Comms was established in 1997 as a chain of retail shops before moving into the online market. Affordable Mobiles is based in the UK and headquartered in Derbyshire. Google Reviews: Of 3,129 reviews, 94% were positive, with an overall score of 4.8 out of 5. Trustpilot: Of 6,181 reviews, 83% were positive, with an overall score of 9.1 out of 10. Has it won any awards or accolades? Alza is one of Central Europe's largest online consumer electronics retailers. It specialises in computers, mobile phones, entertainment, media and toys, as well as home and health and beauty appliances. It also operates a chain of brick-and-mortar stores in the Czech Republic, Slovakia, Hungary and Austria. Alza was established in 1994. It began operating in the UK in 2014. Alza is based in the Czech Republic but also operates in Slovakia and a number of other European countries, including the UK. Google Reviews: Of 189 reviews, 75% were positive, with an overall score of 4.1 out of 5. Trustpilot: Of 1,146 reviews, 80% were positive, with an overall score of 8 out of 10. AO (formerly Appliances Online) is an online retailer specialising in electrical goods. As well as home appliances, it sells mobile phones, computers and entertainment devices. AO was established in 2000. It's based in the UK and headquartered in Bolton. It also operates in Germany and the Netherlands. Google Reviews: Of 22,835 reviews, 92% were positive, with an overall score of 4.7 out of 5. Trustpilot: Of 101,971 reviews, 95% were positive, with an overall score of 9.2 out of 10. Reevoo: Of 149 respondents, 99% would buy again from AO. Appliances Direct is an online retailer specialising in household appliances. It also sells SIM Free mobile phones. It's a division of Buy It Direct Group, which operates eight websites selling a range of consumer goods including computers, TVs and furniture. Buy It Direct was established in 1999. It acquired Appliances Direct (formerly Trade Appliances) in 2008. It's based in the UK and headquartered in Huddersfield. Google Reviews: Of 23,127 reviews, 87% were positive, with an overall score of 4.5 out of 5. Trustpilot: Of 17,417 reviews, 84% were positive, with an overall score of 8.5 out of 10. Reevoo: Of 26,969 respondents, 94% would buy again from Appliances Direct. Of 8,742 respondents, 80% said their enquiries were handled effectively. Argos is a catalogue retailer that trades both online and through physical stores. It's one of the largest high street retailers in the UK, with more than 850 shops and nearly a billion online visitors per year. In 2016 Argos was acquired by Sainsbury's. Argos was founded in 1973. Argos is based in the UK and headquartered in Milton Keynes. It also operates in Ireland. Asda Mobile is a mobile virtual network operator that operates via EE's network. It's a division of Asda, which in turn is owned by Walmart. It offers a standard Pay as You Go tariff as well as a variety of 30-day Pay as You Go bundles. Asda Mobile is based in the UK and headquartered in Leeds. Trustpilot: Of 16 reviews, 56% were positive and 44% were negative, with an overall score of 6.1 out of 10. Box is a retailer that sells an extensive range of technology and computing products and services. It operates online and through a physical store in Sutton Coldfield, West Midlands. It has serviced over 1 million customers. It's based in the UK and headquartered in Sutton Coldfield. Google Reviews: Of 1,635 reviews, 91% were positive, with an overall score of 4.6 out of 5. Trustpilot: Of 1,416 reviews, 84% were positive, with an overall score of 8.1 out of 10. Reviews.co.uk: An overall score of 4.47 out of 5, from 1,618 reviews. 87% of reviewers would recommend Box. Reevoo: Of 928 respondents, 96% would buy again from Box and 94% said their product was delivered on time and in good order. Of 183 respondents, 83% said their enquiries were handled effectively. BT Mobile is a mobile virtual network operator and a division of BT Group. It operates via EE's network, which is also owned by BT. It offers handsets with Pay Monthly plans as well as SIM Only deals. It launched in 2015. BT Group was founded in 1969. It operates in the UK and is headquartered in London. Trustpilot: Of 30 reviews, 87% were negative, with an overall score of 2.3 out of 10. No, BT doesn't appear to have won any awards or accolades. BT Shop is part of the BT Consumer retail division of BT Group. It sells home phones, laptops and PCs, electronics, networking devices and smart home devices. It also sells SIM Free mobile phones. The BT Consumer division was established in 2013. BT Group was founded in 1969. Trustpilot: Of 3,918 reviews, 94% were negative, with an overall score of 0.5 out of 10. No, BT Shop doesn't appear to have won any awards or accolades. Buymobiles.net is an online mobile phone retailer owned by A1 Comms Ltd, which operates a number of other mobile phone websites including Affordable Mobiles and Phones.co.uk. Buymobiles.net offers a range of handsets and tariffs, including Pay Monthly and SIM Only deals as well as Sim Free phones. A1 Comms was founded in 1997 as a chain of retail shops, before moving solely online. It's based in the UK and headquartered in Derbyshire. Carphone Warehouse is a mobile phone retailer that operates via physical stores and online. 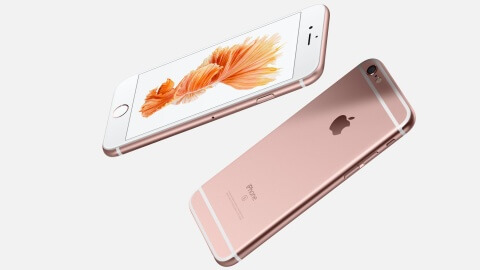 It has 2,400 stores across Europe, trading as Carphone Warehouse in the UK and Ireland and Phone House elsewhere. It is a subsidiary of Dixons Carphone, which formed when Carphone Warehouse Group merged with consumer electronics retailer Dixons Retail in 2014. Carphone Warehouse was founded in 1989. It's based in the UK and headquartered in London. It also operates in Ireland, France, Germany, Spain, Portugal, Netherlands and Sweden. Google Reviews: Of 4,371 reviews, 82% were positive, with an overall score of 4.3 out of 5. Trustpilot: Of 19,218 reviews, 73% were positive, with an overall score of 7.3 out of 10. Reviews.co.uk: An overall score of 1.6 out of 5, from 1,041 reviewers. 14% of reviewers would recommend Carphone Warehouse. Chitter Chatter is an online mobile phone retailer. Owned by Chromevalue Holdings, which also owns Direct Mobiles. It specialises in handsets with Pay Monthly and Pay As You Go tariffs on EE, as well as SIM Only plans and SIM Free phones. It started out as a chain of high street stores before moving solely online in 2016. Chitter Chatter was founded in 1994. It's based in the UK and headquartered in East Sussex. Best Customer Experience at the EE Indirect Partner Awards. Clove Technology is an online mobile phone and computing retailer. It ships around the world and has a global customer base of over 100,000. It sells new and refurbished phones, gaming consoles, tablets and a variety of gadgets. Clove was founded in 1992. It's based in the UK and headquartered in Poole. Google Reviews: Of 826 reviews, 96% were positive, with an overall score of 4.8 out of 5. Trustpilot: Of 73 reviews, 57% were positive and 39% were negative, with an overall score of 5.7 out of 10. No, Clove doesn't appear to have won any awards or accolades. Currys is a retail chain specialising in home electronics and household appliances. PC World is a retail chain specialising in computers and computing equipment. Both are owned by Dixons Carphone and many of their physical stores operate under the combined Currys PC World brand. Both brands also sell mobile phones, often as a Carphone Warehouse concession in-store. Currys was founded in 1884. PC World was founded in 1991. Dixons (now Dixons Carphone) acquired Currys in 1984 and PC World in 1993, and began combining the two brands in 2015. Currys and PC World are based in the UK and headquartered in London. Google Reviews: Of 106,116 reviews, 86% were positive, with an overall score of 4.4 out of 5. Trustpilot: Of 12,390 reviews, 43% were positive and 53% were negative, with an overall score of 5.9 out of 10. Google Reviews: Of 7,864 reviews, 83% were positive, with an overall score of 4.3 out of 5. Trustpilot: Of 2,332 reviews, 87% were negative, with an overall score of 1 out of 10. No, Currys and PC World do not appear to have won any awards or accolades. Debenhams Plus is the consumer electronics division of Debenhams. It operates solely online and sells household appliances, computing equipment, mobile phones, televisions and other electronics. It is operated by Buy It Direct but branded with the Debenhams branding. Debenhams was founded in 1778. Buy It Direct was founded in 1999. Both Debenhams and Buy It Direct are based in the UK, with Debenhams headquartered in London and Buy It Direct headquartered in Huddersfield. Trustpilot: Of 3,279 reviews, 82% were positive, with an overall score of 8.7 out of 10. Reviews.co.uk: An overall score of 1.48 out of 5, from 229 reviews. 11% of reviewers would recommend Debenhams Plus. No, it doesn't appear to have won any awards or accolades. Direct Mobiles is an online mobile phone retailer owned by Chromevalue Holdings, which also owns Chitter Chatter. It’s an EE specialist partner, offering handsets on EE Pay Monthly and Pay as You Go tariffs alongside SIM Free phones and SIM Only deals. It has served over 1 million customers. Direct Mobiles was founded in 1994. It’s based in the UK and headquartered in East Sussex. Trustpilot: Of 2,709 reviews, 91% were positive, with an overall score of 9.2 out of 10. Google Reviews: 942 reviews, 95% were positive, with an overall score of 4.8 reviews. eBuyer is an online electricals retailer. It started out selling computer components before expanding into mainstream electricals. It now sells laptops, tablets, TVs, audio equipment, home appliances, mobile phones and other household electricals. It now has 4 million registered customers. eBuyer was founded in 1999. It’s based in the UK and headquartered in East Yorkshire. Google Reviews: Of 23,187 reviews, 92% were positive, with an overall score of 4.6 out of 5. Reviews.co.uk: An overall score of 4.74 out of 5, from 52,712 reviews. 96% of reviewers would recommend eBuyer. e2save is an online division of Carphone Warehouse. It offers a wide range of deals on handsets and tariffs, including Pay Monthly, SIM Only and Pay as You Go. It specialises in high monthly allowances at low prices, and has a variety of free gifts and cashback offers available with its mobile phone deals. e2save was founded in 1999. It's based in the UK and headquartered in Loughborough. Google Reviews: Of 260 reviews, 90% were positive, with an overall score of 4.6 out of 5. Trustpilot: Of 511 reviews, 57% were negative and 40% were positive, with an overall score of 5.2 out of 10. Reviews.co.uk: An overall score of 4.36 out of 5, from 3,832 reviews. 84% of reviewers would recommend e2save. No, e2save doesn't appear to have won any awards or accolades. EE is one of the UK's four mobile network operators, along with O2, Vodafone and Three. It was established through the merger of former mobile networks Orange and T-Mobile to become the UK's largest mobile network, and was then acquired by BT in 2016. It has approximately 553 retail stores and services more than 31 million connections. Orange and T-Mobile merged to form EE in 2010. Previous to this, both networks had been running since 1993. EE is headquartered in Hertfordshire, and has offices and retail stores throughout the UK. Google Reviews: Of 1,342 reviews, 80% were positive, with an overall score of 4.2 out of 5. Trustpilot: Of 2,281 reviews, 84% were negative, with an overall score of 1.7 out of 10. Reviews.co.uk: An overall score of 1.78 out of 5, from 364 reviews. 18% of reviewers would recommend EE. Reevoo: Of 2,662 reviewers, 93% would buy again from EE, 92% said their product was delivered on time and in good order and 90% said their enquiries were handled effectively. RootMetrics, an independent mobile network analytics firm, named EE the best UK mobile network in February 2018 following extensive testing. EE was also named the UK's best mobile network in the P3 Connect Mobile Benchmark 2017 report. eGlobal Central is a global online retailer specialising in consumer electronics and gadgets, including SIM Free mobile phones. It has nine online stores operating in the UK, Europe, Australia and the USA. eGlobal Central UK was launched in 2014. It’s based in Hong Kong but operates globally. Trustpilot: Of 12 reviews, 58% were positive and 33% were negative, with an overall score of 6.3 out of 10. Ekomi.co.uk: Of 3,404 reviews, 88% were positive, with an overall score of 4.4 out of 5. No, it does not appear to have won any awards or accolades. Fonehouse is a mobile phone retailer that offers Pay Monthly and SIM Free handsets as well as SIM Only deals. It operates online and through physical stores, with 21 stores across the UK. It also operates its own mobile network, IQ Mobile, which uses EE’s coverage. Fonehouse was established in 1994. It’s based in the UK and headquartered in Buckinghamshire. Trustpilot: Of 139 reviews, 70% were positive, with an overall score of 7 out of 10. Freedom Pop is a mobile virtual network operator. It is unique in that it offers a completely free mobile phone service, as well as paid SIM Only plans. Its mobile services operate via Three’s 3G and 4G network. Customers must download an app to use the service, and make calls and send texts using the app. It was established in 2011, with a UK presence since 2015. It’s based in Los Angeles, USA and operates in the USA, UK, Spain and Mexico. Trustpilot: One negative review, with an overall score of 6.1 out of 10. 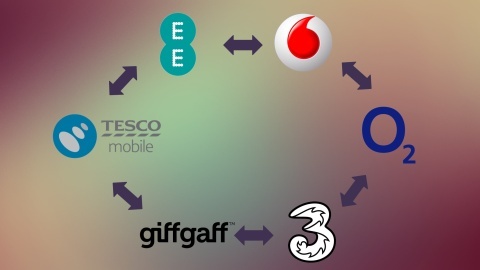 Giff Gaff is a mobile virtual network operator that operates via O2’s network. It offers SIM Only plans and unlocked handsets, as well as pre-owned phones. It’s based in the UK and headquartered in Slough. Trustpilot: Of 865 reviews, 64% were negative, with an overall score of 3.4 out of 10. Google Reviews: Of 485 reviews, 89% were positive, with an overall score of 4.9 out of 5. Handtec is an online consumer electronics retailer specialising in new and refurbished mobile phones and tablets, GPS and sat nav devices, and computers. It has now serviced over 1 million customers. Handtec was established in 2003. It is based in the UK and headquartered in Peterborough. It ships products worldwide. Google Reviews: Of 1,833 reviews, 88% were positive, with an overall score of 4.5 out of 5. Trustpilot: Of 11,755 reviews, 92% were positive, with an overall score of 8.9 out of 10. No, Handtec doesn't appear to have won any awards or accolades. iD Mobile is a mobile network provider that operates via Three's network and is owned by Carphone Warehouse. It offers Pay Monthly, SIM Only and Pay as You Go deals. iD Mobile is based in the UK and headquartered in London. It also operated in Ireland until April 2018 when it entered liquidation. Trustpilot: Of 1,117 reviews, 85% were negative, with an overall score of 1.6 out of 10. Reviews.co.uk: An overall score of 1.15 out of 5, from 26 reviews. 4% of reviewers would recommend e2save. No, iD Mobile doesn't appear to have won any awards or accolades. John Lewis is a chain of department stores, with 50 stores across England, Wales and Scotland. It sells home furnishings and appliances, clothing, beauty products, toys, sports equipment and electricals, including SIM Free mobile phones. It’s based in the UK and headquartered in London. Google Reviews: 95% of reviews were positive, with an overall score of 4.8 out of 10. Trustpilot: Of 4,769 reviews, 74% were negative, with an overall score of 2 out 10. Reviews.co.uk: An overall score of 3.38 out of 5, from 1,233 reviews. 59% of reviewers would recommend John Lewis. Best Multichannel Retailer at the GlobalData Consumer Satisfaction Awards 2018. Laptops Direct is an online retailer specialising in laptops, PCs and tablets. It also sells computer components and accessories, mobile phones, TVs and gadgets. It’s a division of Buy It Direct Group, which operates eight websites selling a variety of consumer goods including electronics and homeware, including Appliances Direct. Buy It Direct was founded in 1999. The Laptops Direct website was launched in 2004. It’s based in the UK and headquartered in Huddersfield. Google Reviews: Of 9,990 reviews, 88% were positive, with an overall score of 4.5 out of 5. Trustpilot: Of 5,255 reviews, 79% were positive, with an overall score of 8 out of 10. Reviews.co.uk: An overall score of 3.84 out of 5, from 505 reviews. 70% of reviewers would recommend Laptops Direct. Parent company Buy It Direct was featured in the Sunday Times Top Track 250 in 2017. Lebara is a mobile virtual network operator that provides mobile services in a variety of countries around the world. Its services are targeted at migrants and international communities. In the UK it operates via Vodafone’s network. Lebara was founded in 2001. It’s headquartered in the UK but also operates in Europe, Saudi Arabia, Sri Lanka and Australia. Trustpilot: Of 1,329 reviews, 50% were positive and 41% were negative, with an overall score of 6.1 out of 10. Littlewoods is an online retailer that allows customers to spread the cost of purchases. It offers clothing, toys, furniture, household appliances, sports equipment, electricals and other consumer goods. It’s part of the Shop Direct group, which was formed by the merger of Littlewoods and Shop Direct. Littlewoods was established in 1932 as a catalogue retailer. It was bought by Shop Direct in 2005. It’s based in the UK and headquartered in Liverpool. Trustpilot: Of 2,886 reviews, 59% were positive and 35% were negative, with an overall score of 1.3 out of 10. Reviews.co.uk: An overall score of 1.65 out of 5, from 130 reviews. 15% of reviewers would recommend Littlewoods. Best Pure-Play Etailer at the Retail Week Awards 2017. Best Pure-Play Etailer at the (over £50m turnover) at the Drapers Digital Awards 2017. Lycamobile is a global mobile virtual network operator that specialises in plans that include low-cost international calls. It offers handsets that come with monthly rolling plans, as well as SIM Only plans. It operates in 23 countries including the UK, USA, Australia, Hong Kong, Tunisia, South Africa and countries across Europe. It’s headquartered in the UK but operates worldwide. Trustpilot: Of 637 reviews, 98% were negative, with an overall score of 0.2 out of 10. Reviews.co.uk: An overall score of 1.13 out of 5, from 104 reviews. 3% of reviewers would recommend Lycamobile. Telecommunications Company of the Year at the International Business Awards 2013. Power Business of the Year at the English Asian Business Awards 2013. Metrofone is an online mobile phone retailer. It offers handsets with Pay Monthly plans, as well as SIM Free phones and SIM Only plans on EE. It’s owned by KTM Online Ltd, which also owns Fonehouse. Trustpilot: One positive review, with an overall score of 7.4 out of 10. Britain Reviews: An overall score of 6.8 out of 5, from four reviews. 75% of reviewers would recommend Metrofone. No, it doesn’t appear to have won any awards or accolades. Mobile Phones Direct is an online mobile phone retailer. It started out as a high street retailer before moving solely online. It now offers mobile products to over 1 million customers. The company started life in 1992 and expanded onto the internet in 2004. Mobile Phones Direct is based in the UK and headquartered in Berkshire. Google Reviews: Of 7,577 reviews, 95% were positive, with an overall score of 4.8 out of 5. Trustpilot: Of 23,296 reviews, 89% were positive, with an overall score of 9 out of 10. Best Online Retailer at the Mobile News Awards 2015, 2016, 2017 and 2018. Best Online Retailer at the What Mobile Awards 2017.
mobiles.co.uk is an online mobile phone retailer and a division of Dixons Carphone, which also owns Currys, Carphone Warehouse, e2save, and iD. It claims to be the longest-running online mobile phone shop. It offers handsets both SIM Free and with Pay Monthly plans, as well as SIM Only plans. It’s based in the UK and headquartered in Leicestershire. Google Reviews: Of 648 reviews, 89% were positive, with an overall score of 4.5 out of 5. Trustpilot: Of 2,825 reviews, 62% were positive, with an overall score of 7.8 out of 10. Reviews.co.uk: An overall score of 4.71 out of 5, from 21,441 reviews. 94% of reviewers would recommend Lycamobile. Motorola, or Motorola Mobility, is an American telecommunications and consumer electronics company. It was formed after the split of the original Motorola in 2011 to take on the company’s consumer electronics lines, primarily Android smartphones. It’s currently owned by Lenovo, which purchased it from Google in 2014. Motorola Mobility was formed in 2011. The original Motorola company was founded in 1928. It’s headquartered in Chicago, US, but operates globally. Trustpilot: Of 123 reviews, 90% were negative, with an overall score of 1.1 out of 10. Reviews.co.uk: An overall score of 3.67 out of 5, from 3 reviews. 67% of reviewers would recommend Motorola. The Moto G5 won Value Phone of the Year 2017 at the Trusted Reviews Awards. Telefónica UK Ltd, which trades as O2, is a telecommunications company and the UK’s second-largest mobile network operator. It started life as Cellnet, which became BT Cellnet in 1999, and then O2 in 2002. The company was purchased by Spanish telecommunications company Telefónica in 2006. Telefónica also owns GiffGaff. Cellnet was founded in 1985. Trustpilot: Of 2,642 reviews, 58% were negative and 36% were positive, with an overall score of 1.1 out of 10. Reviews.co.uk: An overall score of 2.01 out of 5, from 191 reviews. 21% of reviewers would recommend O2. OnePlus is a Chinese smartphone manufacturer. It specialises in high-end handsets with lower prices than other phones with similar specifications. It’s based in Shenzhen, China, but operates globally. Trustpilot: Of 5 reviews, 60% were positive and 40% were negative, with an overall score of 6.6 out of 10. Reviews.co.uk: An overall score of 4.17 out of 5, from 7 reviews. 86% of reviewers would recommend OnePlus. The OnePlus 6 won Product of the Year and Mid-Range Phone of the Year at the Expert Reviews Awards 2018. The OnePlus 5T won Best Mid-Market Phone at the Mobile Industry Awards 2018. Best Smartphones in the PCMag Readers’ Choice Awards 2018. Phones.co.uk is an online retailer owned by A1 Comms Ltd, which operates a range of business and consumer communications brands including Affordable Mobiles and Buymobiles.net. Phones.co.uk offers deals on handsets with Pay Monthly contracts on EE, Vodafone and Three, as well as SIM Free handsets. A1 Comms was founded in 1997. It started life as a chain of retail shops before moving online. Phones.co.uk is based in the UK and headquartered in Derbyshire. Google Reviews: Of 297 reviews, 94% were positive, with an overall score of 4.8 out of 5. Trustpilot: Of 790 reviews, 83% were positive, with an overall score of 9.4 out of 10. Plusnet is an internet service provider that offers broadband, landline, digital television and mobile services. It was acquired by BT Group in 2007. It was founded in 1997. It’s based in the UK and headquartered in Sheffield. Trustpilot: Of 283 reviews, 80% were negative, with an overall score of 1.9 out of 10. Reviews.co.uk: An overall score of 1.33 out of 5, from 120 reviews. 8% of reviewers would recommend Plusnet. No, Plusnet doesn’t seem to have won any awards or accolades for its mobile services. ROK Mobile is a mobile virtual network operator that operates via Three’s network. Its SIM Only plans come with added benefits including breakdown cover, personal accident and assault cover and funeral expenses. 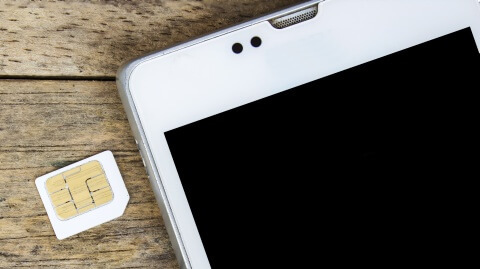 Customers can also choose to have a mobile only plan without the added benefits. ROK Mobile launched in the US in 2014, and in the UK in 2015. ROK Mobile did not appear to have been rated in the UK. Samsung is a South Korean multinational conglomerate comprising multiple affiliate businesses. Most notably it manufactures consumer electronics, with its mobile phones consistently rated among the best in the world. It’s headquartered in Seoul, South Korea but operates globally. Trustpilot: Of 881 reviews, 90% were negative, with an overall score of 1.1 out of 10. Reviews.co.uk: An overall score of 1.65 out of 5, from 378 reviews. 15% of reviewers would recommend Samsung. The Samsung Galaxy S9 Plus was awarded Best of MWC by Alphr, Expert Reviews and IT Pro at Mobile World Congress 2018. Won 36 Innovation Awards at CES 2018, including awards for the Galaxy Note 8 and the Galaxy S8 and S8 Plus. Best Premium Manufacturer at the Mobile News Awards 2018. Best Manufacturer and Best Smartphone, Best Smartphone Innovation and Best Camera Phone for the Galaxy S8 at the What Mobile Awards 2017. Sky Mobile is a mobile virtual network operator that operates via O2’s network. It’s owned by telecommunications company Sky UK. It offers data-focused Pay Monthly plans with deals on handsets. Sky Mobile launched in 2017. Sky UK was founded in 1990. It’s based in the UK and headquartered in West London. Reviews.co.uk: An overall score of 3.21 out of 5, from 14 reviews. 50% of reviewers would recommend Sky. Best MVNO at the Mobile Industry Awards 2018. Best MVNO at the Mobile News Awards 2018. The Smartphone Company is an online mobile phone retailer, and a division of Mobile Phones Direct. It offers handsets with Pay Monthly deals as well as SIM Free phones and SIM Only deals. The Smartphone Company was founded in 1992 and moved online in 2004. It’s based in the UK and headquartered in Berkshire. Trustpilot: Of 1,356 reviews, 90% were positive, with an overall score of 9 out of 10. Smarty is a mobile virtual network operator that is owned by Three, and runs on Three’s network. 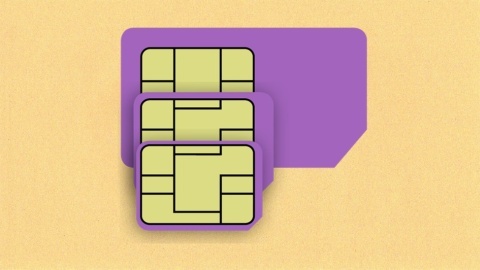 It’s a SIM Only network that offers a selection of three simple plans. The unique selling point of Smarty is that if you have unused data at the end of the month, you get credit back for the next month. Trustpilot: Of 422 reviews, 86% were positive, with an overall score of 8.5 out of 10. No, Smarty doesn’t appear to have won any awards or accolades. Tesco Mobile is a mobile virtual network operator that operates via O2's network. It is a division of Tesco PLC and can be found online and in 450 Tesco stores across the UK. 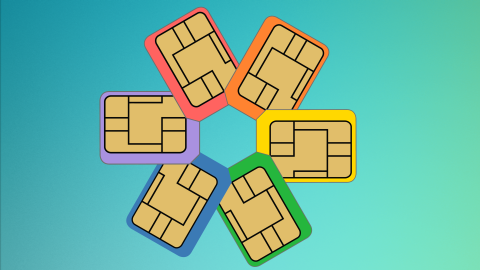 It offers Pay Monthly, Pay as You Go and SIM Only deals. Tesco Mobile was launched in 2003. It is based at Tesco House in Hertfordshire. Google Reviews: Of 16,251 reviews, 95% were positive giving an overall score of 4.7 out of 5. Trustpilot: Of 296 reviews, 64% were negative, with an overall score of 3.2 out of 10. Reviews.co.uk: An overall score of 5 out of 5, from 5 reviews. 100% of reviewers would recommend Tesco Mobile. Reevoo: Of 11,580 respondents in the past 6 months, 98% they would buy from Tesco Mobile again. Of 3,562 respondents 96% said their delivery was made on time and in good order. Of 4,910 respondents, 94% said enquiries handled effectively. 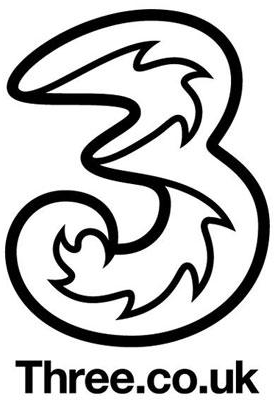 Three is one of the UK's four mobile network operators, along with O2, Vodafone and EE. It is owned by CK Hutchison Holdings Limited. It operates online and through physical stores, with 324 stores in the UK. Three was also the first company to offer All You Can Eat data. Three was founded in 2003. Its UK headquarters are in Berkshire. Trustpilot: Of 6,832 reviews, 62% were positive, with an overall score of 4.8 out of 10. Reviews.co.uk: An overall score of 2.80 out of 5, from 30 reviews. TobyDeals is an online retailer specialising in consumer electronics including mobile phones, computers, cameras, audio accessories and gadgets. The company's website domain was registered in 2016. The company is headquartered in Hong Kong but ships to the UK and Ireland. Trustpilot: Of 34 reviews, 73% are positive, with an overall score of 6.8 out of 10. Reviews.io: An overall score of 2.67 out of 5, from 12 reviews. 42% of reviewers would recommend TobyDeals. No, TobyDeals doesn't appear to have won any awards or accolades. TPO, or The People's Operator, is a charitable mobile network provider operating via Three's network. It offers SIM-only plans and directs 10% of each customer's spend towards a charity or cause of their choice, at no extra cost. TPO has been operating since 2012. It's based in the UK and headquartered in London, and has also expanded into the United States. Google Reviews: Of 245 reviews, 88% were positive, with an overall score of 4.5 out of 5. Trustpilot: Of 453 reviews, 57% were positive, with an overall score of 6.5 out of 10. No, TPO doesn't appear to have won any awards or accolades. Unshackled.com is an online mobile phone retailer that allows customers to spread the cost of a phone purchase. It claims to be the UK’s only 100% independent phone retailer, meaning that it is not affiliated to any network (Carphone Warehouse doesn't qualify as they own iD Mobile). It offers unlocked phones and SIM Only deals, as well as the opportunity to sell your phone. It was launched in 2016. Unshackled is based in Manchester. Google Reviews: Out of 422 reviews, 96% were positive, with an overall score of 4.8 out of 5. Trustpilot: Out of 354 reviews, 92% were positive, with an overall score of 9 out of 10. Utility Warehouse is an online multi-utility provider supplying energy, mobile, phone and broadband services. It is a wholly-owned subsidiary of Telecom Plus PLC. It offers SIM Only and Pay Monthly deals, plus mix-and-match deals with any handset. It is based in their headquarters in London. Google Reviews: Out of 1,632 reviews, 93% were positive, with an overall score of 4.6 out of 5. Trustpilot: Of 5,730 reviews, 80% were positive, with an overall score of 7.9 out of 10. Telecom Services Provider of the Year 2017 from Which? Vectone Mobile is a mobile virtual network operator that operates on EE’s network. It offers Pay as You Go, Pay Monthly and SIM Only deals, as well as plans for low-cost international calls. It was launched in September 2009. 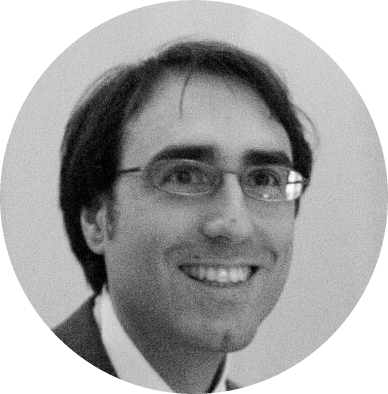 Vectone Mobile is based in London. Trustpilot: Out of 762 reviews, 92% were negative giving an overall score of 0.6 out of 10. No, Vectone Mobile doesn't appear to have won any awards or accolades. Very is an online department store selling a large range of items including electronics, fashion and homeware. It is part of the Shop Direct group, which also includes Littlewoods. Very sells SIM Free phones. Trustpilot: Out of 11,155 reviews, 49% were negative, with an overall score of 1 out of 10. Reviews.co.uk: An overall score of 1.94 out of 5, from 933 reviews. 23% of reviewers would recommend Very. 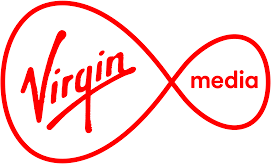 Virgin Mobile is the wireless communications division of Virgin Media, which itself is part of Liberty Global PLC. It offers Pay Monthly, SIM Only and Pay as You Go deals. Virgin Mobile was founded in November 1999. It is headquartered in Swansea, Wales. Trustpilot: Out of 728 reviews, 94% were negative, with an overall score of 0.7 out of 10. 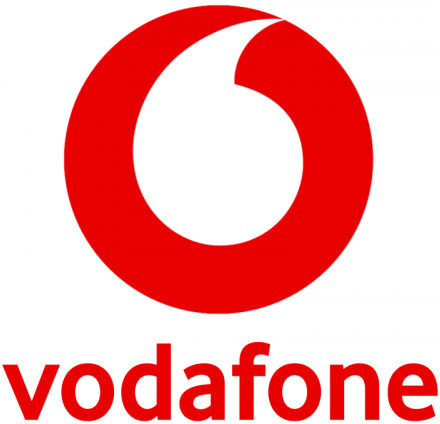 Vodafone is one of the UK's four mobile network operators, along with O2, Three and EE. It is one of the world's largest telecommunications groups, operating in 26 countries and with partner networks in 55 others. Vodafone was founded in 1982. Vodafone is based in Berkshire. Trustpilot: Out of 6,071 reviews, 86% were negative giving an overall score of 0.7 out of 10. Reviews.co.uk: An overall score of 1.24 out of 5 from 915 reviews. 5% of reviewers would recommend Vodafone. 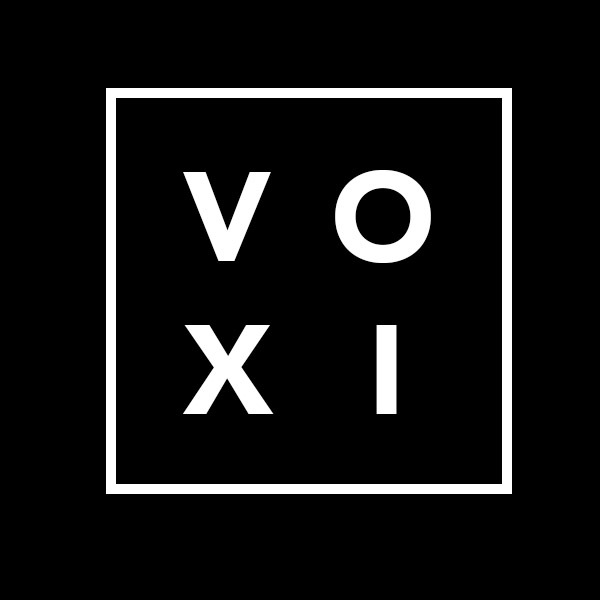 Voxi is a mobile network created by Vodafone exclusively for people under 30 years old, which means that customers are required to verify their age when activating a Voxi SIM card. It offers 30-day SIM Only plans that include endless 4G data use for social sites including Facebook, WhatsApp and Instagram. Voxi is based at Vodafone House in Berkshire. Trustpilot: Out of 22 reviews, 45% were positive, with an overall score of 5.1 out of 10. No, Voxi doesn't appear to have won any awards or accolades.